What are the best VR games? Or, to go one better – what are the best Oculus Rift and HTC Vive games? There are plenty of VR experiences out there already, and with the headsets shipping to customers faster than ever there is plenty more to come. 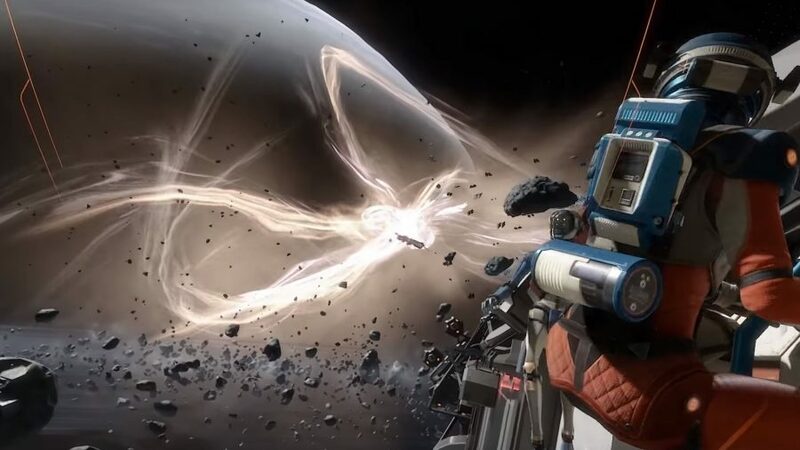 We have tested a number of the best VR games across the major headsets, ranging from the good, bad, to the downright nausea-inducing – and we will endeavour to seek out new, strange, and challenging content for this burgeoning platform. In the name of science… or something. Here, however, we are going to be more choosy, handpicking the best VR games and experiences with which to treat your eyeballs. From transformative updates to existing games such as L.A. Noire and Fallout 4, to exquisite titles made from the ground up for VR such as Chronos and Star Trek: Bridge Crew, VR games come in various forms. But, here, we only have room for the best. When virtual reality first became a, well, reality, plenty of games came to mind that deserve all these delicious new dimensions. The breathtaking speed of a racer, maybe. The scale and spectacle of an open-world RPG, perhaps. L.A. Noire, a 2011 neo-noir detective action-RPG, however, might not have been the game you might have expected to strap to your noggin. That said, L.A. Noire was technically advanced for its time: its pioneering facial capture helping you select the baddies from those just caught in the wrong place at the wrong time. Where the chin-stroking deductive side of L.A. Noire won Team Bondi plaudits, its combat failed to match up. 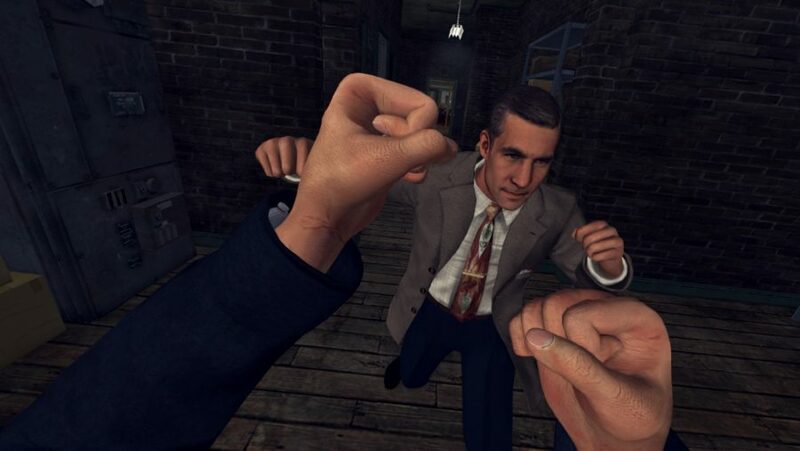 Enter L.A. Noire: The VR Case Files, a truncated version of the police game that doesn’t just improve the relatively weak gunplay and driving aspects, but it is one of the best VR games on PC. Rather than twiddling and tapping away at your keyboard and mouse, you lean, shoot goons, and reload your classic Remington physically with the HTC Vive controllers – and it feels invigorating. Doggedly plugging away at each case just feels better in virtual reality. The heat of battle is much more intense – especially when you punch yourself in the face. No, that totally wasn’t us. 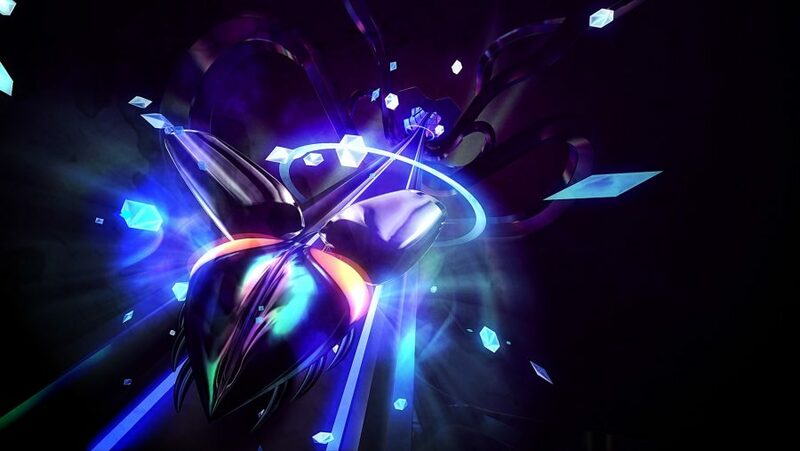 Rez Infinite is a musical twin-stick shooter in which you tackle waves of Tron-esque enemies while journeying through the subsystems of a corrupted, far-future AI. The game is played in third-person, and your character can ‘evolve’ through several stages, each with its own quirks. It is a trance-inducing wonder of a game that was originally released for Dreamcast in 2001, but has since undergone iterative changes through various re-releases on its way to PC. You can lock-on to up to eight enemies at a time with your weapon, releasing your trigger finger to let off a volley of homing shots, or spam the fire button for rapid single shots, and every action contributes to the game’s bass-heavy soundtrack. Some enemies drop items that allow you to evolve, while others bestow a screen-clearing smart bomb. Lurking at the end of each stage a spectacular boss awaits. 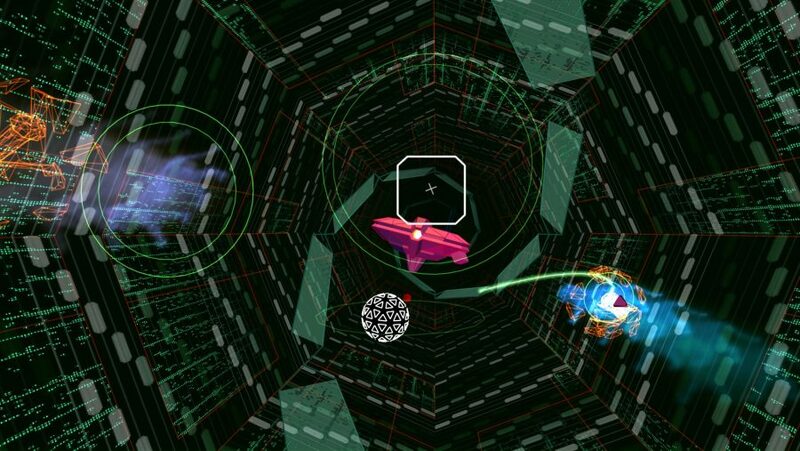 While the whole game can be played in desktop mode, the technology of today transforms Rez Infinite into one of the best VR games available. The original game featured five areas, all of which are even better using a headset. But a sixth area, dubbed Area X, is creator Tetsuya Mizuguchi’s reimagining of the concept for VR. The result is a remarkable journey through a thematic mashup of undersea imagery and futuristic mechs, the whole thing liberally peppered with iridescent particle effects that shimmer around you as you pass through the debris clouds left by a recently shot-down enemies. Essential. For developer Drool, creating a music game just wasn’t enough: Thumper would be a rhythm violence game. We were intrigued when it was announced, and now we are captivated by its immersive embrace. Piloting a metallic beetle-thing with a ravenous taste for blistering speed, this indie game has you zooming through trippy, psychedelic surroundings. Neon pathway resemble Amplitude and Guitar Hero, the notes replaced with walls to skid on and obstacles to scale. Each level introduces a new gameplay wrinkle, with your efforts culminating in a showdown with the giant animated skull, CRAKHEAD. Hey, at PCGN, we don’t judge. 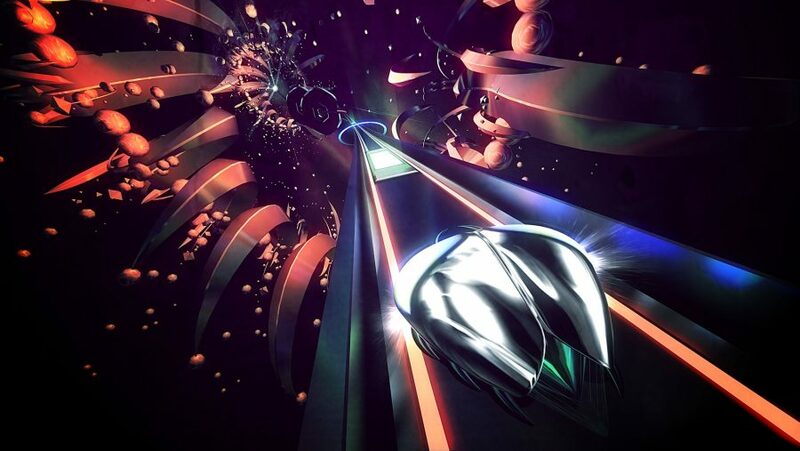 Thumper is astonishing in VR, its physicality and speed creating an intoxicating mix with its original, pumping soundtrack. As far as music games go, this far and away one of the best VR games on PC. Drool say “To reach synesthetic bliss, you must face rhythm hell.” To say VR takes things up a notch would be a severe understatement. Hover Junkers is a multiplayer-only first-person shooter. Nothing usual in the realm of conventional gaming, sure, but it makes for one of the best VR games with a headset donned. You move around the limited space of a hover junker – think Mad Max with flying boats – shoot at enemies aboard other junkers, and duck behind cover in an endless battle for resources set against a water-sapped, post-apocalyptic world. The action is more akin to that of a rail shooter such as Time Crisis rather than the disorienting likes of Call of Duty or Titanfall, which is a blessing given how prevalent motion sickness still is even in the best VR games. 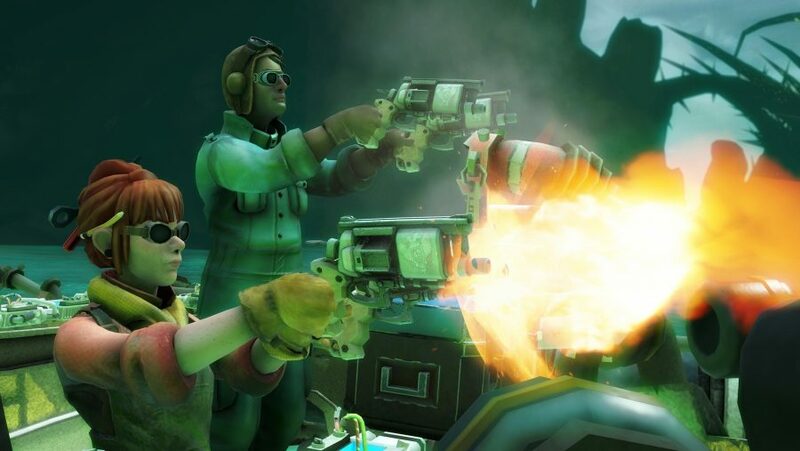 Hover Junkers’ gameplay relies on its simplistic gameplay and tactility, all rendered in a light and cartoony art style reminiscent of Timesplitters and Team Fortress 2; beloved multiplayer games that it has no doubt been inspired by. Superhot shot to indie fame on the back of a simple, but ingenious premise: time only moves when you do. Feeling overwhelmed? Stay motionless, and the ravages of time are frozen for as long as you need to catch your breath. A barrage of bullets might be ready to tear into you, but you can see them coming and plan your escape. Essentially it is gaming’s answer to the Matrix. 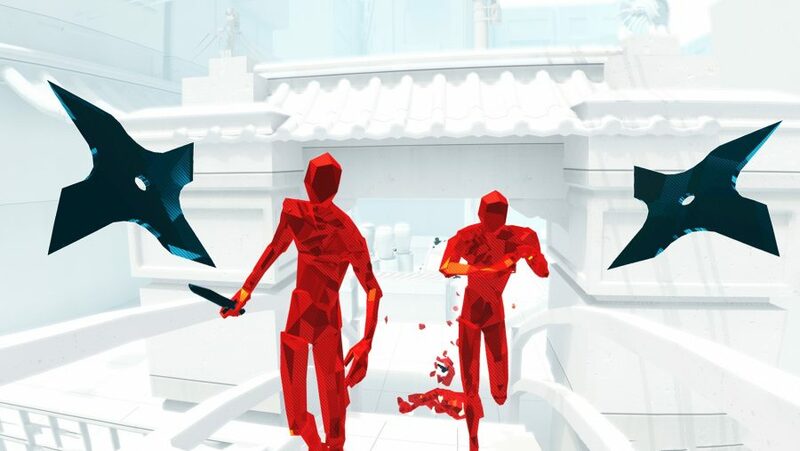 Wannabe Neos rejoice, then: Superhot VR takes that effortless cool you felt in the original game and takes it to a new level. Dodging bullets and attacks physically rather than with a keyboard or analog stick really increases the immersion, reinventing a simple mechanic into one of the best VR games around. 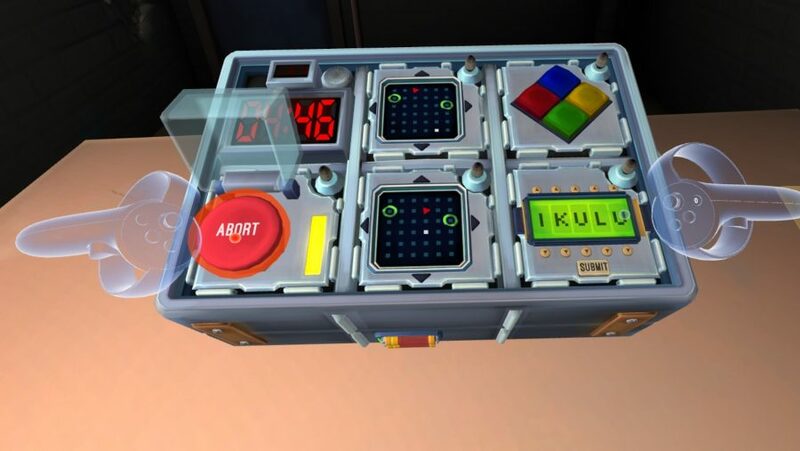 Unlike many of the best VR games out there, Keep Talking And Nobody Explodes is a a chaotic co-op game: one player is the bomb defuser, able to view and interact with an explosive device via a VR headset. Meanwhile, the other players are defusal ‘experts’ with a physical manual (printed out or available as a webpage) to hand, which they must use to advise the defuser. VR is the perfect platform for this concept. Successfully defusing a bomb within the time limit, navigating the many modules filled with coloured wires, logic puzzles, and Simon Says games is extremely satisfying when playing with friends. If you can stifle the urge to high-five your defusal buddy after a successful round, you are incapable of joy. We are forever told the Kobayashi Maru is unwinnable. But, of course, just like Captain James T. Kirk, we know we have the skills to win and become the best space pilot the Federation has ever seen. Star Trek: Bridge Crew lets us live out these dreams in glorious virtual reality. First, grab up to three friends, who, alongside you, assume the role of officers of the Federation, determining the fate of your ship and crew with every fateful decision – it’s a game that thrives in a crisis. You and your intrepid space-bound band will boldly go to the largely unknown sector called The Trench to assess its potential as a new Vulcan home world. Yet, we could have simply been running modest intergalactic errands, for all we care. 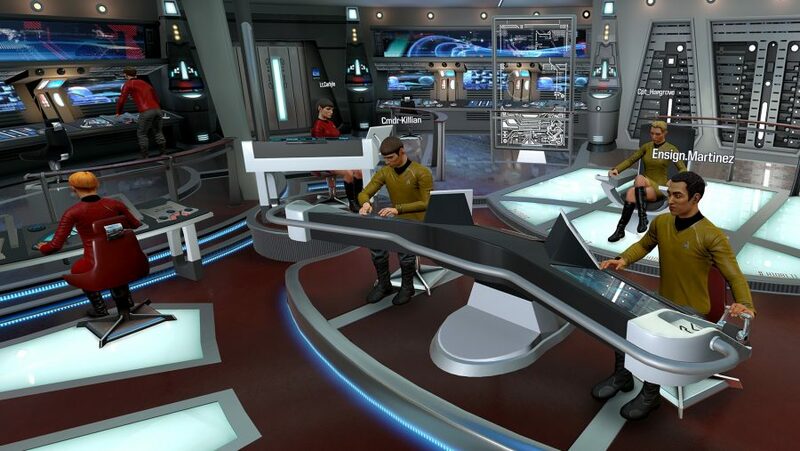 Star Trek: Bridge Crew is a game built from the ground up for VR. Your cockpit environment is unsettlingly accurate, and it feels great to just exist in this world, interacting with the ship’s controls, and making decisions like real space pilots. This, one of the best VR games you can find, is a game everyone, not just Trekkies, should experience. If you only ever play one game in VR, make it Elite Dangerous: it is simply one of the best VR games you can strap to your skull. Its scale is difficult to comprehend, offering a 1:1 replica Milky Way galaxy. A galaxy unblemished by load times, and populated by human players with their own allegiances, agendas, and minute-to-minute missions. 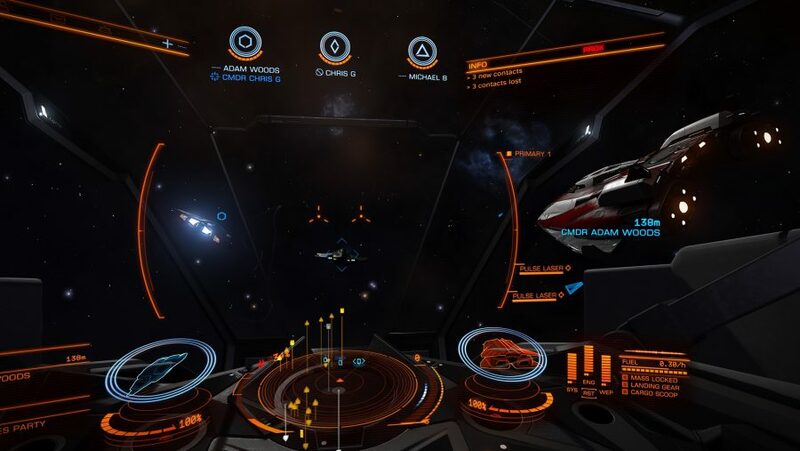 If you need a head start, check out our Elite Dangerous guide. However varied or complex the action gets, your position is always at a fixed point, and that helps to stamp out any potential for motion sickness. You can roll, pitch, and flail about haplessly (the latter happening frequently, we find) during extended play sessions at the mercy of Frontier’s Newtonian flight model without the queasiness setting in. That is absolutely crucial to maintaining Elite Dangerous’s appeal as a long-form game. The Cambridge studio has been among the most forward-thinking when it comes to VR support, and it tells with every second you spent in the cockpit. 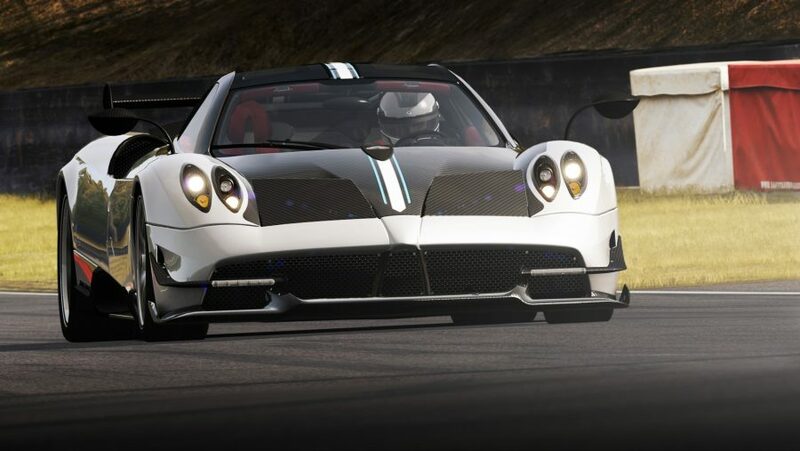 Not only is Assetto Corsa an exquisite racing game, it is also one of the best VR games on PC, thanks to the rock-solid underpinning physics model, comely visuals, and fan-requested features. The latter means, naturally, that it is possible to play Assetto Corsa in VR. It supports the Oculus Rift natively, so is no need to stalk the darker corners of the internet in search of a mod or middleware program. Conceptually, racing a sports car is one of the few time-honoured videogame staples crying out for VR adaptation. Third-person shooters need a serious rethink in order to function as VR games, but the likes of Assetto Corsa thrive with a fixed camera point and the ability to look into mirrors, at apexes, or towards opponents. It’s also made with lasers, apparently. If you want to take the idea of being in another place to the extreme, No Limits 2 is for you. 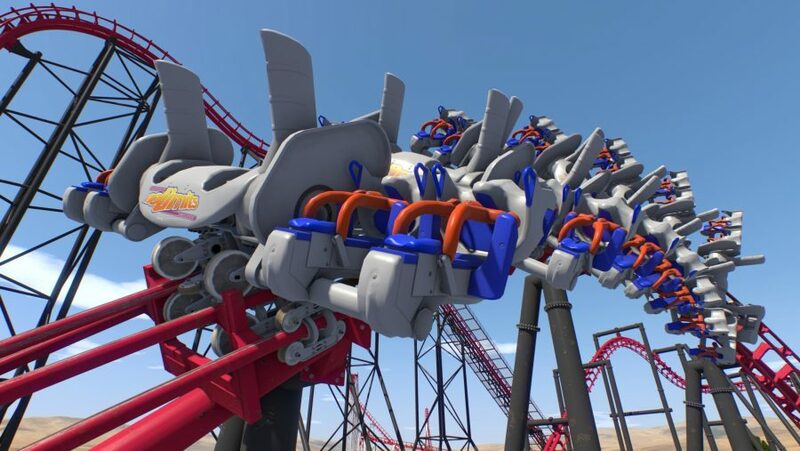 Creator Ole Lange’s roller coaster simulation game is a testament to the psychosomatic powers only the best VR games can provide; your legs feel weak as you hurtle down impossibly steep drops as if they are subject to physical forces. The same goes for your poor stomach as you make your way through corkscrews – as far as your body’s concerned, you are on that coaster. And, yet, No Limits 2 is not the jamboree of stomach-emptying motion sickness that it might have been. The fixed point camera helps, and it is clear that developing the game specifically for VR minimised the potential for vomiting. A remarkable feat given the subject matter. With a reasonably advanced designing tool and more types of coaster than you ever knew existed, No Limits 2 is the only game you need visit if you want the simulated theme park experience. 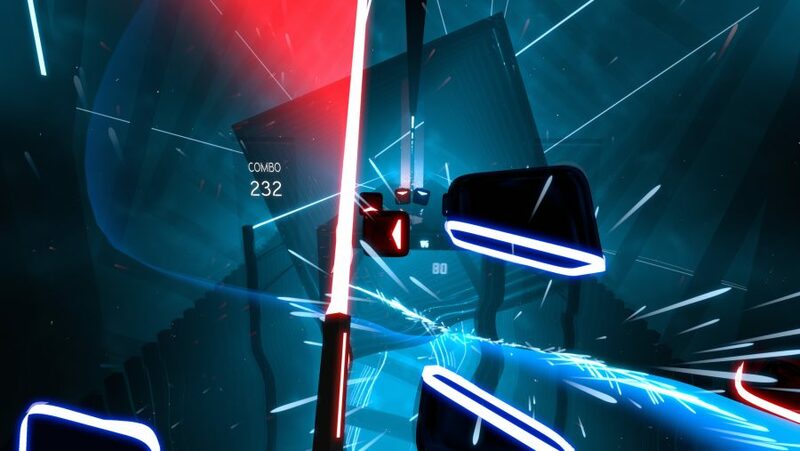 Beat Saber is basically a Star Wars game with a liberal dose of Guitar Hero. It’s a rhythm VR game where you dual-wield lightsabers to slash oncoming glowing cubes that fly towards you in time with its slick music. Each cube also has a directional arrow symbol indicating which direction it needs to be cut, adding that extra level of challenge. The colour and light in Beat Saber gives the game its futuristic feel. Each hit gives off satisfying sparks on impact and your colourful targets glow gloriously in the surrounding darkness.. Each cube perfectly matches the beat, so you’ll want to pair your VR gear with a great pair of headphones to properly experience Beat Saber’s pounding electronic soundtrack. When the creators of Genital Jousting and Broforce make a VR title you can probably assume that it’s going to be an exceptionally silly fighting game. 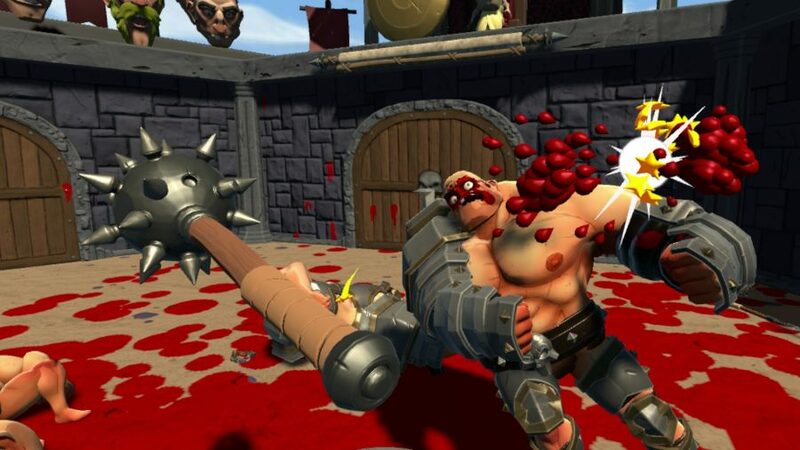 Gorn is a violent first-person combat game where you play a muscled warrior and your only aim to beat the eyes out of other muscly warriors. Yep. The eyes. You can grab weapons, parry attacks, and hold an enemy still while you pummel them into a crimson pulp. The controls are easy enough to intuitively figure out, but Gorn’s movement mechanics will take some getting used to. Instead of teleporting or using the control stick to move around, you swing your arms as if you are actually walking. What this results in is bloody combat with bar brawl levels of clumsiness as you and your enemies stagger from side-to-side desperately trying to land punches. Gorn is pure dumb fun and is well worth stumbling into. 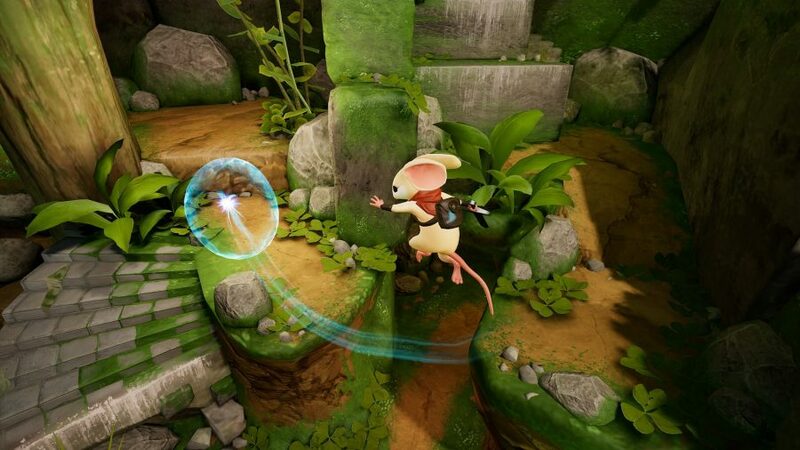 The immersive power of VR is its main selling point and you might think that a tall task for a magical story book experience about a little mouse called Quill, but Moss manages it with aplomb. In Moss you play a character called the Reader. Your aim is to assist Quill as she tries to overcome each obstacle and generally be her guiding force as she navigates a dangerous fantasy world. Quill isn’t just a creature to be controlled though, she knows you’re helping her and is always keen to thank you for your hard work, helping to form a bond between you that will last well beyond the four hours it takes to complete this charming VR adventure game. One of VR’s greatest strengths is that it can put you in otherworldly scenarios and still make them feel real. Case in point, we’ve never experienced space travel, but if the traversal mechanics in Lone Echo are anything to go by then we’re missing out on some serious fun. You can push off surfaces to bounce around the environments, or use little boosters on your wrist to jet across open areas. Of course, it isn’t just about the movement. Lone Echo is a narrative adventure that has you playing as Jack, a service android aboard a mining station above Saturn. You work together with the sole remaining human, Olivia to keep things functioning. Naturally, things go awry, leaving us in charge of mending myriad mechanical faults in a convincingly weightless VR space game. Lone Echo is a good story wrapped in a great control system, and it wouldn’t be possible on anything other than VR. 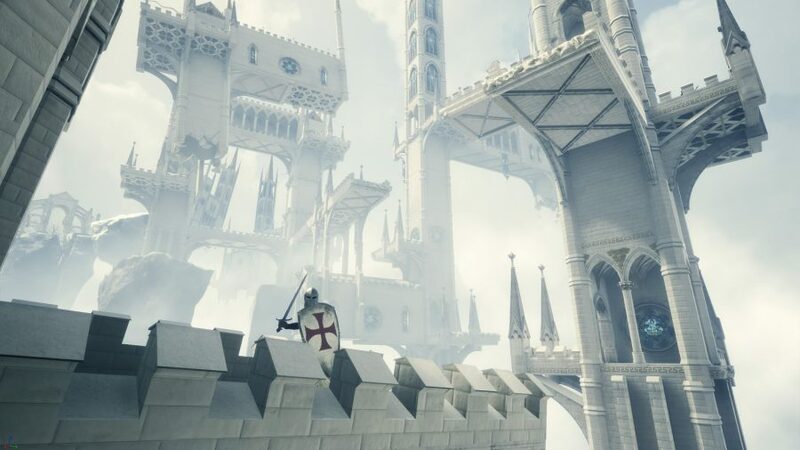 Gaming and masochism go hand in hand – just look at games like Dark Souls – few genres display this more prominently than the roguelike. In Death is a VR roguelike that has the sole aim of killing you every time you play it. You control an archer making your way through armies of adversaries armed only with a bow and a shield. The maps and enemies you’ll face are procedurally-generated, ensuring each run feels like a bespoke experience, and stepping into a fresh level with each new life is particularly impressive in VR. In Death is crushingly difficult and can get pretty frustrating at times, so don’t expect to waltz through this without putting some serious practice in. Thankfully, firing the bow feels so good that the moment-to-moment gameplay keeps you going after countless deaths. 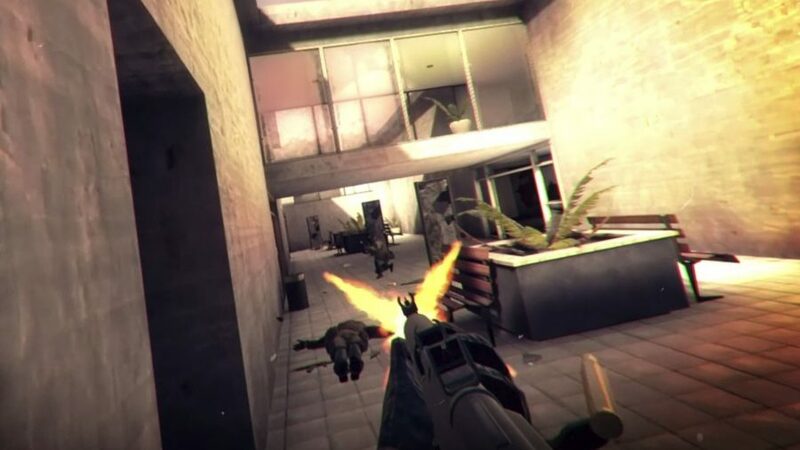 Pavlov VR is not a dog feeding simulator – although we’d happily play that in VR – but is in fact a highly competitive multiplayer shooter in the same vein as CS:GO. There are a couple of ways you can approach shooting in Pavlov VR – hold a weapon with both hands to dramatically cut down on recoil, or pick up a second weapon and just start spraying bullets in the general vicinity of your target. This VR FPS game also has an incredibly active community who are busily creating new content with Pavlov VR’s extensive modding tools. This is a game that’s continually evolving and becoming more interesting as time goes on. And so concludes our collection of digital worlds that you can have beamed into your gelatinous eye spheres via the glorious medium of VR. Some may claim the format is already dead, but clearly those people haven’t played any of these 14 gems. If you’d rather keep your face in front of a traditional monitor, though, we’d point you towards the best PC games, all of which need just a simple old PC, and none of this fancy goggles business. But if you feel screens are a bit yesteryear now you’ve discovered VR well… we don’t blame you. Viva la VR!